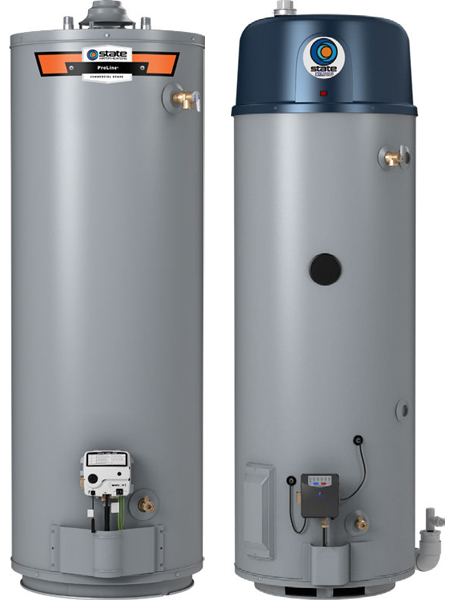 Water Heater Service, Repair, Installation Bloomington, IL | Wm. Masters, Inc.
Get the most for your money with a durable State Water Heater from Wm. Masters. Your water heater impacts the temperature of your water and the amount of energy your family consumes. When left uncared for or forgotten about, an outdated water heater can wreak havoc on your home by flooding your basement, leaving you with a nice cold shower in the morning, and no hot water when washing clothes or dishes. Whether you live alone or have a full house, having a functional water heating system to keep your water at a comfortable temperature is essential. That’s why Wm. Masters offers affordable, high-end products from industry-leader State Water Heaters. State’s contractor-exclusive, commercial-grade products, along with expert installation from Wm. Masters will keep you and your home safe and your water system functioning properly. 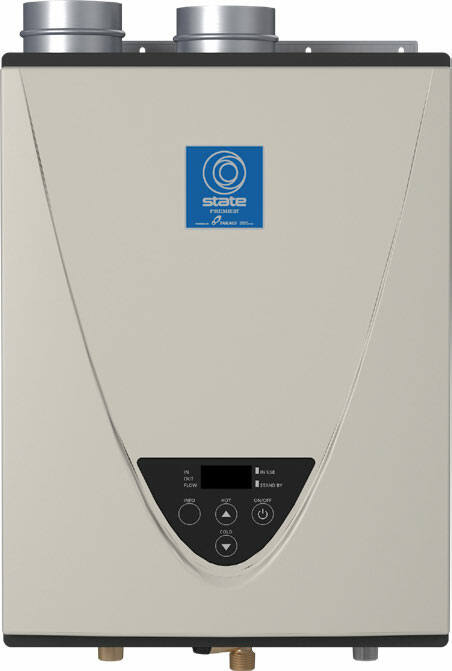 A tankless water heater is a smaller, more energy-efficient water heating system that heats water only when it’s needed. These space-saving units can supply consistent streams of clean, hot water to multiple appliances simultaneously, and without any fluctuation in temperature. The upfront costs of a tankless water heater are 2 to 2.5 times more than a conventional tank-style water heater, but total lifetime costs are less. At the end of the day, choosing between these two options is up to you. But, you are not alone. Our team of trained customer support representatives and field technicians are great resources for finding out which system is best for you based on your budget and preferences. Get the information you need in order to make the right decision today by calling Wm. Masters. If email is preferred, visit our contact us page to let us know how we can help.